As the USDA Forest Service’s revision plan for the Pisgah and Nantahala National Forests continues to be discussed (The new plan will guide the management of the Pisgah and Nantahala National Forests for the next 15 years.) I wonder how many people give thought to what “forest’ means to them. 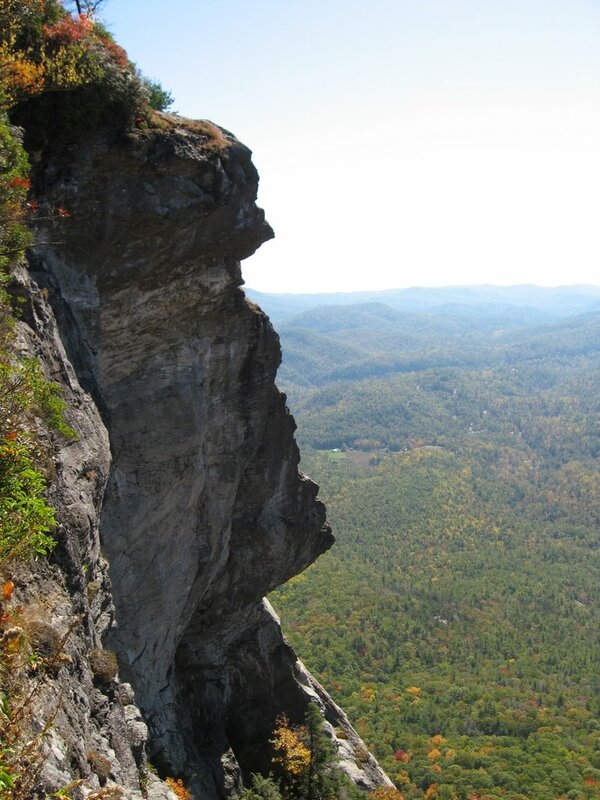 The Southern Appalachians are a paragon of biological diversity. According to the Appalachian Landscape Conservation Cooperative the Appalachians are the most significant biodiversity hotspot in the country, east of the Rockies, and the Central and Southern Appalachians are unrivaled in the U.S. for aquatic diversity and comparable only to China in terms of forest diversity. It is a diversity that is complex, awe-inspiring and terribly threatened. These forests hold treasures and secrets from millions of years of evolution and our actions at this point in history will determine what these forests will look and be like in the future. I grew up in the rural farmland of the northeast Louisiana Delta. Much to my mother’s chagrin most of my childhood and adolescence was spent roaming the woods of the Beouf River swamp from a tiny shanty on Horseshoe Lake. I knew “woods.” I knew the second-generation oak and hickory woods of the swamp and I knew the “piney” woods of northeastern Louisiana and southeastern Arkansas. It wasn’t until I got to college and began to study plant taxonomy and systematics, herpetology, mammalogy, ecology, etc that I began to understand the concept of “forest” – of forest communities and began to see the interactions and interconnections. My reintroduction to forests and forest ecology began in June of 1986 when through a circuitous and convoluted route of career and life choices I found myself in Highlands, North Carolina being inextricably drawn into the cool green bosom of the surrounding, lush forests (this was before the time of the hemlock wooly adelgid.) My first excursion into this world of beauty and wonder was a short trek down the Glen Falls Trail in the Nantahala National Forest just a couple of miles south of town. Looking back, that was my first introduction to a cove hardwood forest, but I didn’t know it at the time. I just knew it was cool and green with lots of flowers, lots of critters and waterfalls. I remember bluets, robin’s plantain, mountain laurel, my first boomer (red squirrel,) my first ruffed grouse, hooded warbler, black-throated green warbler and lots of water, there are three major cascades and several smaller ones you can access from the trail. One of the next excursions I made was to Whiteside Mountain, also in the Nantahala Forest, just a few miles north of Highlands. I had heard that the North Carolina Wildlife Resources Commission was hacking endangered peregrine falcons on the granite outcropping and was hoping I might get lucky. I didn’t see any falcons that day but I was lucky. I looked around at my surroundings – how completely different they were from my trip to Glen Falls a few days earlier. I had walked through hemlock, birch and Fraser magnolia to reach a summit covered in bent and gnarled red oaks twisted by prevailing winds to stand upon a mile-high slab of exposed granite that would soon once again be home to the (then) endangered peregrine falcon. I was looking across Horse Cove at Lake Keowee in the Piedmont of South Carolina and it was beginning to dawn on me – the beauty, wonder and diversity of this place; these mountains. And it led to more and deeper study of this fascinating place.